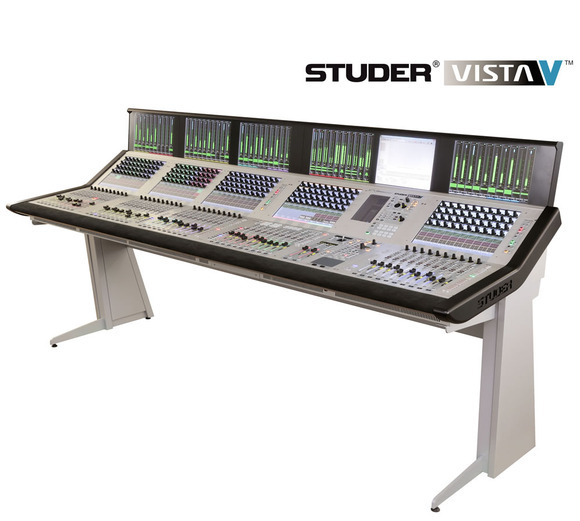 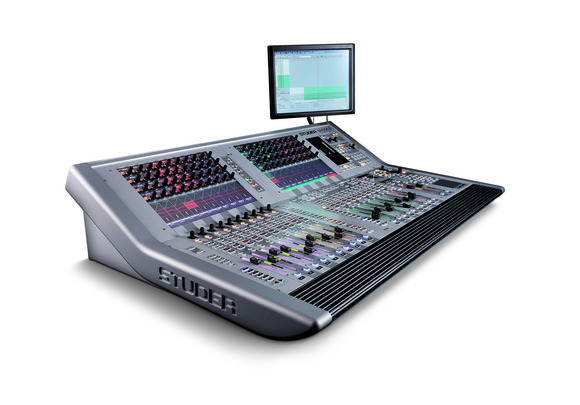 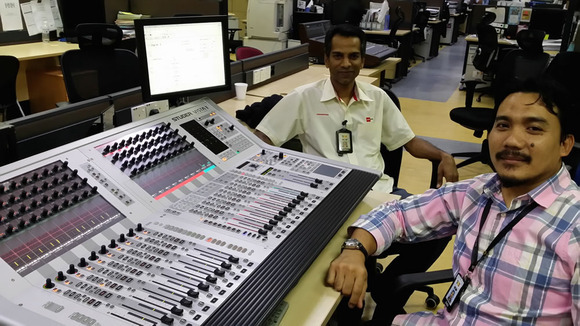 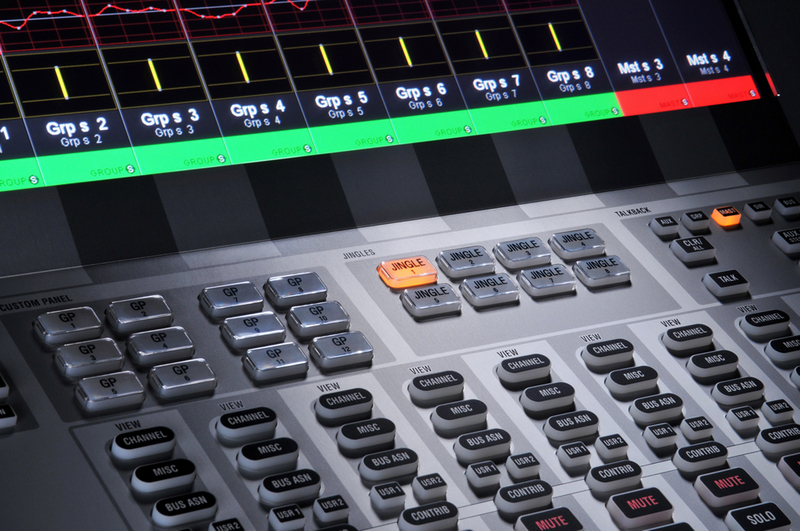 The new Studer Vista 1 is a transportable digital mixing console for broadcast, live and production use. 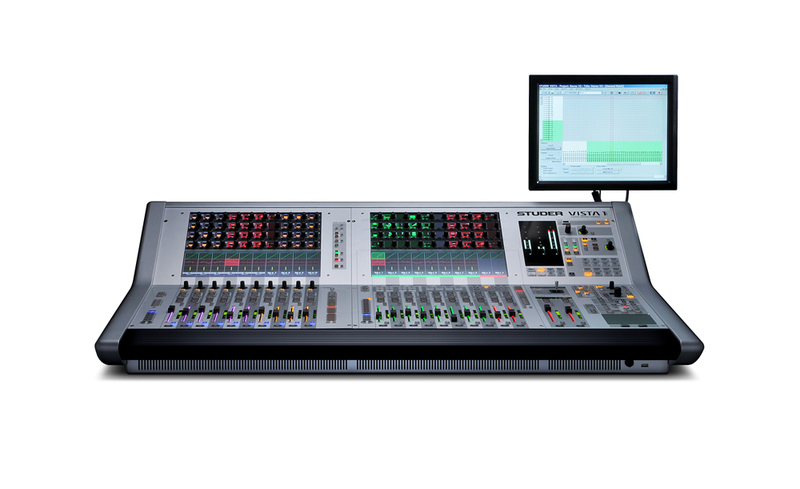 For the first time with a Vista, all you need is contained within the console, the control surface, I/O system, DSP and power supplies are all in one box. 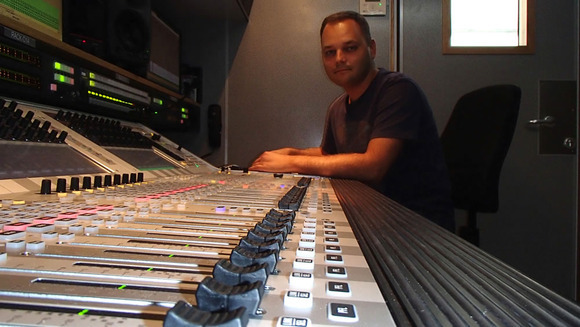 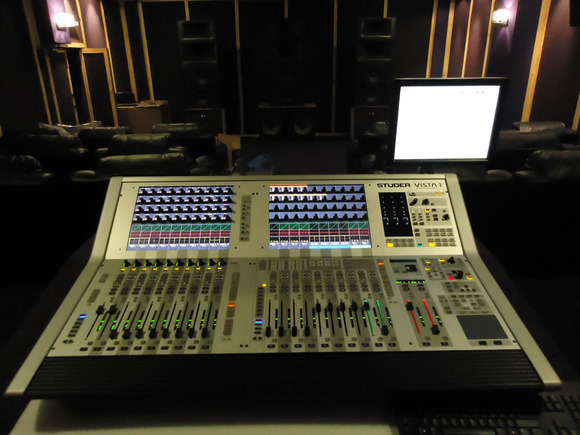 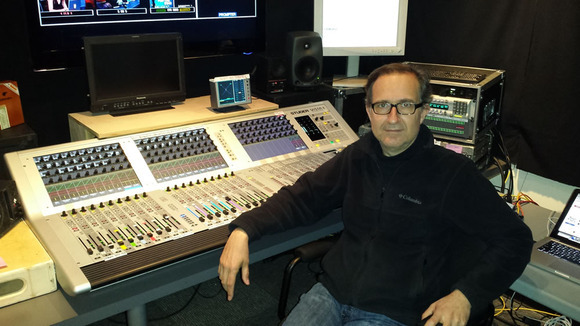 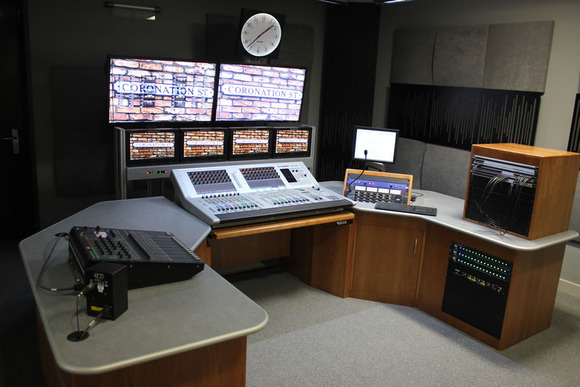 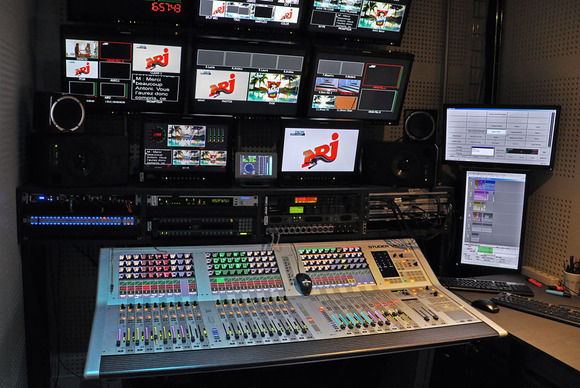 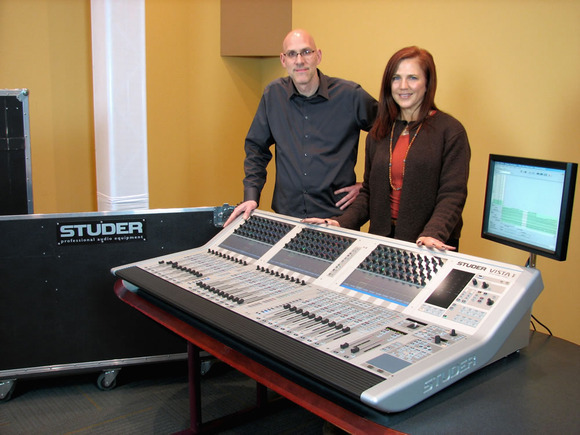 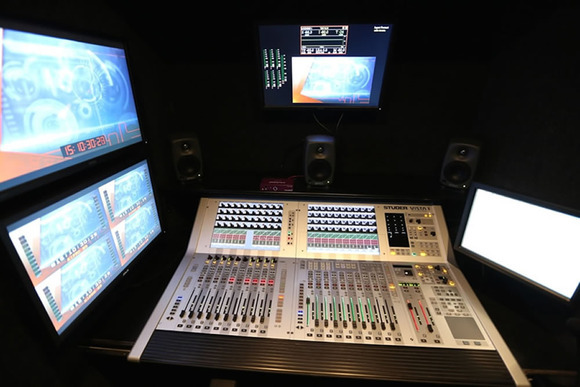 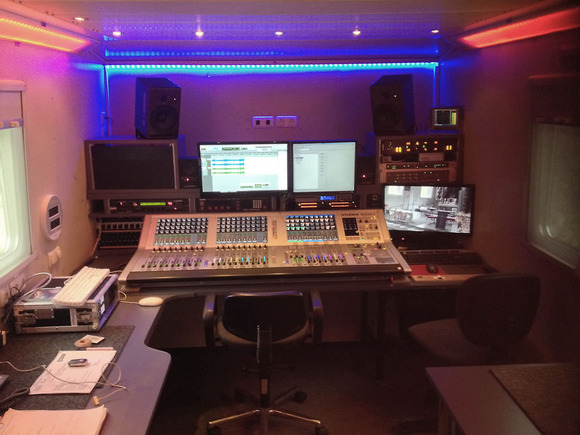 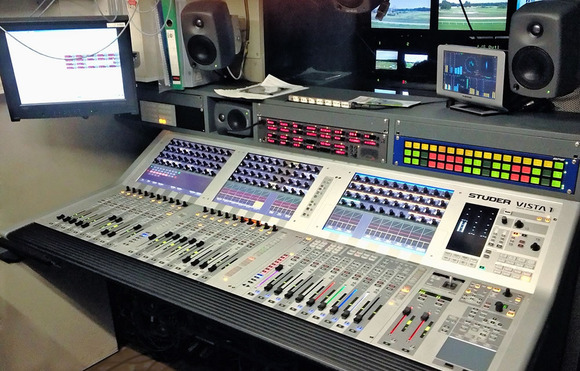 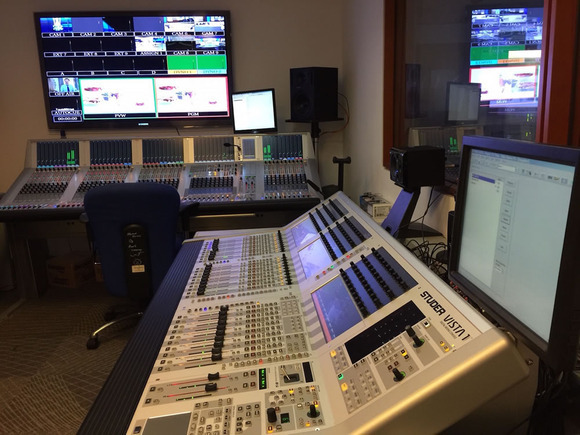 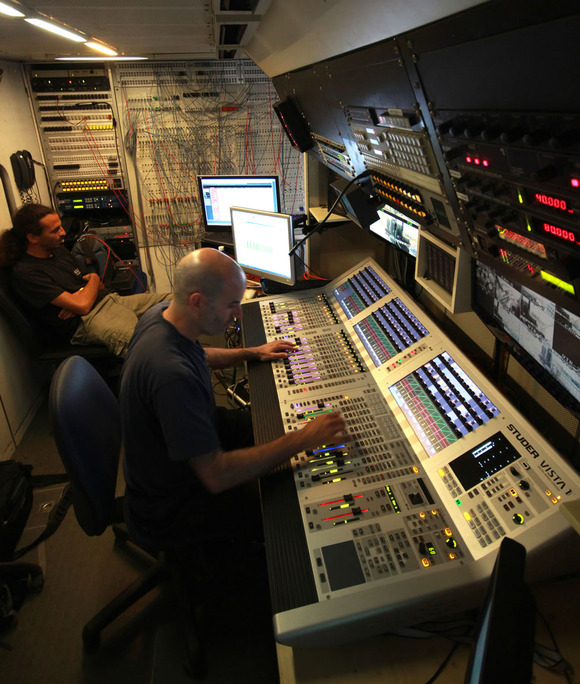 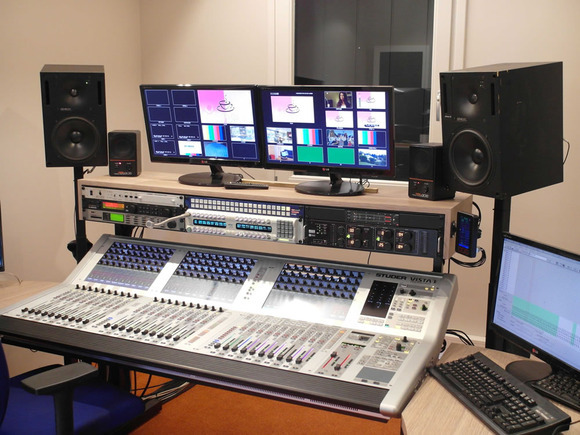 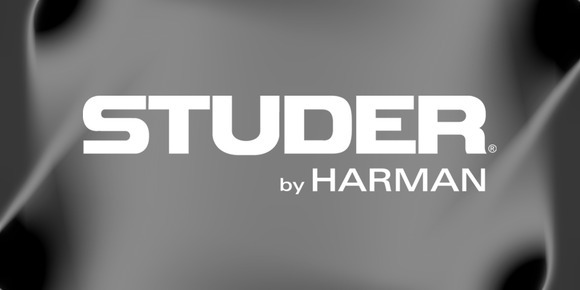 This makes it the ideal choice when space is restricted, such as in OB and ENG vans, small studios, or for applications where the console needs to be moved with ease. 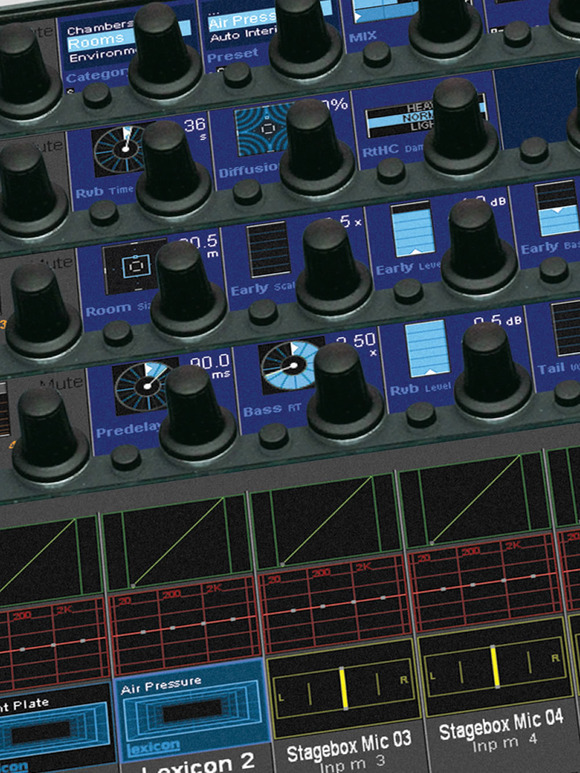 Thanks to the patented Vistonics™ user interface with 40 on-screen rotary knobs, its look and feel is identical to that of its larger and more sophisticated sisters. 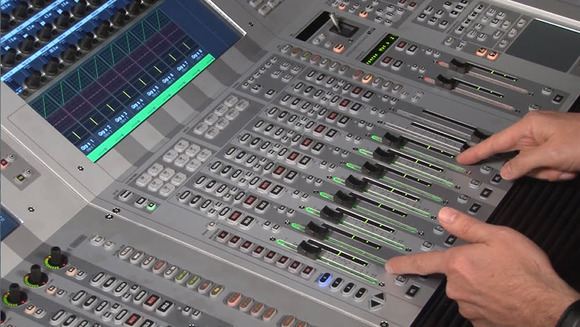 Anyone who is already used to the intuitive Vista surface will immediately be familiar with the Vista 1. 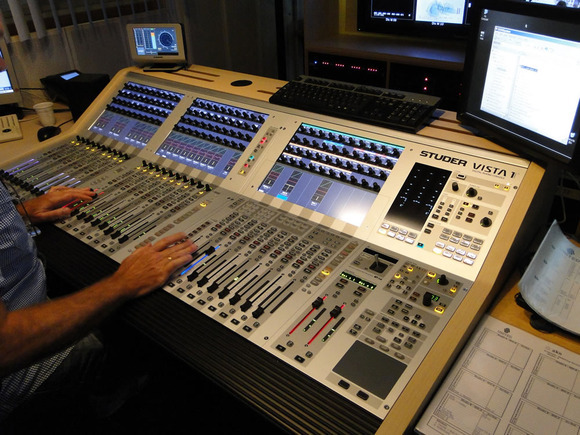 Anyone new to Vista will be amazed at how simple it is to learn. 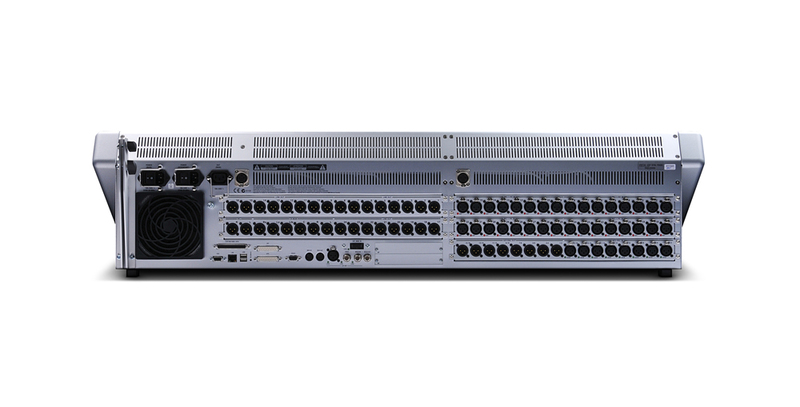 - Slots for additional D21m I/O cards (one double-width or two single-width cards), such as AoIP (Axia Livewire™), MADI, AES/EBU, ADAT, TDIF, CobraNet®, Aviom A-Net®, Dolby® E/Digital, SDI, etc. 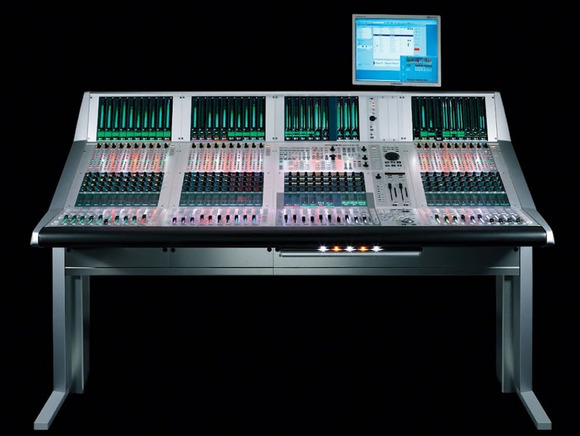 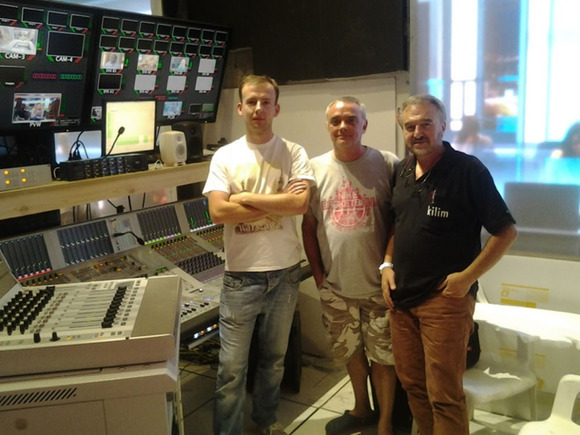 • Support for the whole Studer stagebox range via a MADI link, such as the 4U Studer Compact Stagebox shown below.